Includes the New International Reader s Version (NIrV) that is perfect for children learning to read and explore the Bible for the first time on their own. For games and activities, visit www.AdventureBible.com." 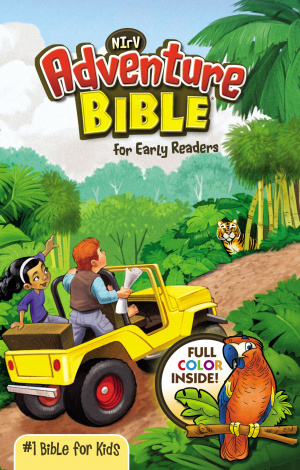 Adventure Bible for Early Readers-NIRV by Lawrence O. Richards was published by Zondervan in June 2014 and is our 5696th best seller. The ISBN for Adventure Bible for Early Readers-NIRV is 9780310727439.